Steve Korris, over at The Southeast Texas Record, describes the twists and turns in a legal dispute over an improperly installed grease trap that led to the odor of raw sewage plaguing two consecutive tenants of a mall-based restaurant space. It’s a malodorous tale of who knew what and when. The second tenants—a couple who opened The Italian Cowboy restaurant in the Keystone Park Mall in Dallas—sued the mall manager after the “unbearable and ungodly odor” forced them out of business. They claim the manager knew about the malodor problem, and that in fact it was the reason the previous restaurant to occupy the site had closed. The couple accused the manager of fraud for misrepresenting that the space was suitable for the purpose for which it was being leased. The mall manager’s response was that the lease agreement specified that the only representations being made about the property were those listed in the lease, and bad smell was not among them. In other words, we might or might not have known there was an odor problem, but since we didn’t assert that the premises smelled fine the tenant has no grounds for backing out of the lease. 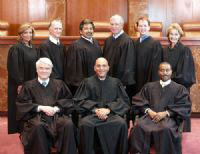 Lower courts, and even three of the nine Justices of the Supreme Court of Texas, sided with the mall manager. But the majority ruing, issued by the Court last month, said the Italian Cowboy owners had established misrepresentation by the mall manager despite the restrictions of the lease.